Are you ready to power-up in both your life & business with the support of an incredible sisterhood? Join us for a day of learning, planning, and growing with other women business owners in a safe, uplifting environment! Together we will provide you with the tools, insight, and motivation you need to create a thriving life and business you love. Experience the Power & Transformation of Sisterhood! “Lisa is such an inspiring and creative being!! She not only motivates and energizes you, she takes the time to make actionable steps to further your business and get you to your goals. She truly cares for me and my business and wants to see me succeed. She surrounds herself with amazing women that are equally inspiring. When these women get together, only good things can happen! Lisa has time and time again gone out of her way to promote and feature my business and empower me to be the #girlboss I am!” -Caitlin N.
What is the WAWO Live Mastermind? The We Are Women Owned (WAWO) Live Mastermind provides a safe, supportive, uplifting environment for purpose-driven female entrepreneurs in the creative & retail space to gather, brainstorm, strategize, share resources and problem solve with the support of one another to overcome challenges, help achieve their goals & hold each other accountable! A combination of coaching, consulting, business development, and intimate networking, it’s the perfect mastermind for female leaders, creatives, movers & shakers to grow themselves & grow their businesses! By the end of our time together, you’ll not only walk away with feel-good, actionable steps toward creating a life & business that you love, but you’ll also move forth with an army of brilliant, powerful women by your side! 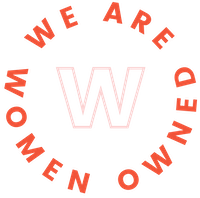 If you’re feeling stuck, alone, isolated and are desiring a shift in your business with an amazing community to turn to, apply to the We Are Woman Owned Live Mastermind below! You do not (and should not) have to walk this journey alone! We’re so here for you, sister! Show me the details! “Finding you and this group has really given me the push and support I didn’t know I needed. I juggle many hats and business is the one I really want to excel at. I have help with my kids as my husband is so good with them but, the business is completely me. Knowing I’m not the only one experiencing hardship/bumps in the road reassures me that I’m doing ok and this is all part of the journey. It’s so inspiring to be with such amazing and extremely talented women. I really love that we share and bounce ideas off each other. We collaborate and lift each other up vs compete and put each other down. There is space for all of us and WAWO really encompasses that.” – Pamela D.
Apply to join the WAWO Mastermind today! Price will increase to $350 one month before each scheduled event begins. ONLY 10 SPOT AVAILABLE PER MASTERMIND DATE! Interested in joining us for multiple dates? Save 15% off when you book two or more live masterminds & 25% off when you sign-up for all four 2019 NYC dates. Before applying, please be prepared to give just as much as you are there to receive. Tell us about yourself, your business, and where you currently need support. If interested in attending more than one mastermind, please note all dates you are interested in attending here.